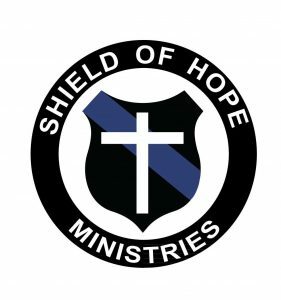 Our ministry exists for the sole purpose of spreading the Gospel of Christ to law enforcement and their communities around the world. Law enforcement is an incredibly high stress and dangerous profession. Some countries, states, and cities spend an enormous amount of time and money to produce highly effective police organizations whereas others may spend little to nothing. One area of policing that is over-looked or never spoken of is how to deal with the emotional or spiritual stress that comes from being in law enforcement. The reality is most officers are in a fierce spiritual battle everyday. Over a short period of time most new officers unknowingly become very cynical and jaded. The unfortunate reality is that cynicism is what keeps them alive. You are trained to think everyone you come in contact with could be the one who is going to take your life. Over time officers become withdrawn and only want to associate with other officers. The feeling of “no one else understands or gets what we have to go through” only causes further resentment and alienation from others. This takes you down a dark path and sometimes leads to drug/alcohol abuse, divorce, and suicide. Officers often have to meet people in their worst possible state. When you take call after call where you are yelled at, cursed at, spit on, punched, kicked, smacked, bitten, and seeing children abused you enter the worst place of all, hate. You simply hate people. I know this because I was there. Christ changed all of that by bringing me out of the dark place, I didn’t even know I was in. I want to share something that every officer desperately needs, the love and hope of Jesus Christ. That is why this ministry exists. Its for all to know that “God proves His own love in that while we were still sinners, Christ died for us.” (Romans 5:8) If you are an officer and don’t know the love of Jesus Christ, please seek Him before it is too late. We would love to pray and share the Gospel with you wherever you may be.